Parents, administrators and school officials undoubtedly want what’s best for students. In many situations, schools rely on teacher evaluations to determine how to provide better education. The debate is heated about whether to conduct teacher assessments, how to structure them, and how much they matter when so many factors play a part in students’ educational success. However, it is important to admit that some teachers are better than others, and some so ineffective that their under-performance must be addressed. There are many who argue that “bad teachers” must be fired, that their ineffectiveness poses a true danger to the education and future of their students. While this position is understandable, and while it is important to acknowledge that there are teachers who are not capable of the job, there are also plenty of low-performing teachers who are passionate about teaching and would appreciate some guidance. Teacher performance assessments aren't just used to eliminate poor teachers; they can also serve as a powerful tool for determining how to help educators harness their passion and develop successful teaching methods. Recent studies show that it is possible for low-performing teachers to improve. A coaching program in Cincinnati showed lasting benefits including increases in math test scores The Effect of Evaluation on Performance. The Bill and Melinda Gates Foundation is investing significant funds in determining what makes a good teacher; after many years in the game, they’re now considering teachers coaching other teachers as a possible winning strategy. Sometimes even small changes can have a significant impact on student performance. Another study in New York City middle and high schools (“Lifting a Barrier of Mistrust: Wise Critical Feedback to Racial Minorities”) showed that the kind of feedback teachers give students can have a real effect on student academic behavior and self image. When checking an essay, teachers added an extra comment to the feedback. Teachers who wrote, “I am giving you these comments because I have very high expectations and I know you can reach them,” saw a 64% revision rate in the papers of black students. In the control group which received this comment, “I am giving you these comments so you’ll have feedback on your paper,” only 27% revised their papers. These results demonstrate that teacher assessment can be coupled with some small practical changes to help students get the best education available. Why Perform Teacher Performance Assessments? It is a good idea to stay on top of current research that may have applicable advice on how to improve one’s teaching skills. However, you still need to address any under-performing teachers in your school now and this is not an easy task. A good place to start is by using teacher performance assessments to determine whether an under-performing teacher truly wants to teach or not. Many new teachers are idealistic and passionate about teaching. The realities of the job, however, can be harsh, and support and training can be lacking. These teachers deserve the benefit of the doubt and more advice than scolding. However, there are also teachers who go into teaching, for example, just for the summers off. Although enjoying one’s summers off does not necessarily make one a bad teacher, an educator only getting into teaching for the supposed perks is an obvious sign of trouble. 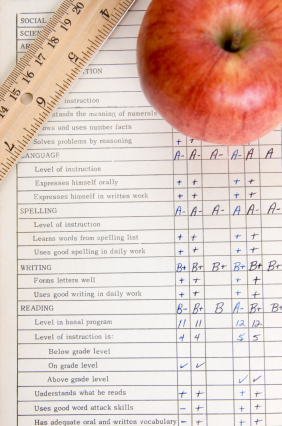 How do you figure out if you’re dealing with a good teacher or an under-performing educator? Talk to them more than once, observe them in their classrooms, ask them if they need help, and perform teacher assessments. With these strategies, you’ll begin to get a feel for what kind of teacher you are dealing with and how to proceed. It takes an investment of time and consideration, however with the right encouragement and proper professional development you can transform many under-performing teachers into successful educators.